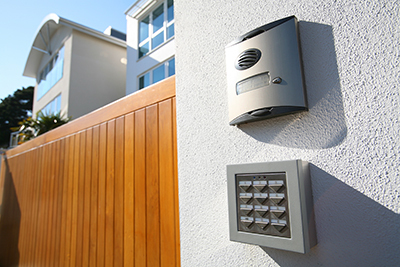 No matter whether you have a wood, steel or wrought iron gate with opener, you will need to provide proper care to the panels, hardware parts and all electronic components including the remote controls. Here you will find an outline of everything that you have to do on a regular basis. Let's get started. Most systems need full maintenance once a year while the safety sensors have to be checked every three months. The first task of every session is inspection. Our experts in Yorba Linda recommend that you check all components of the system. Watch out for obvious signs of damage such as rust, decay, holes, dents, chips, scratches, deformation and dullness. You must pay attention to how the gate operates. Does it move smoothly or is it shaking somewhat? Does it appear to be too fast or too slow? Test the safety sensors. You simply need to wave a long object like a broomstick in on the path of the unit while it is closing. It must reverse immediately. If you notice even the slightest problem, you must get gate repair right away. Cleaning comes right after inspection. There is an appropriate cleaner for every type of material. If you have an iron or steel gate, you should opt for a non-corrosive product. Liquid household detergent dissolved in cool water should do an excellent job. Oxygen bleach is a suitable cleaner for wood, but you can also try a milder product. If you use bleach, you will most likely have to sand the wood as well. After the surface has dried completely, you have to apply protective sealer. Choose a product which is reliable, effective and safe. 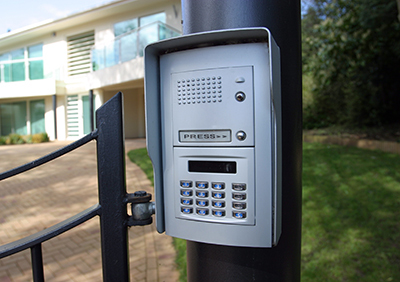 The hardware components, the opener and the gate remote require cleaning as well. For the metal parts, you can use the mildest solvent that you can find. For the electronic components, slightly damp soft cloth will do. Lubricate all moving metal parts for smooth operation.